Looking for the perfect New Zealand small group tour for your ‘Trip of a Lifetime’? 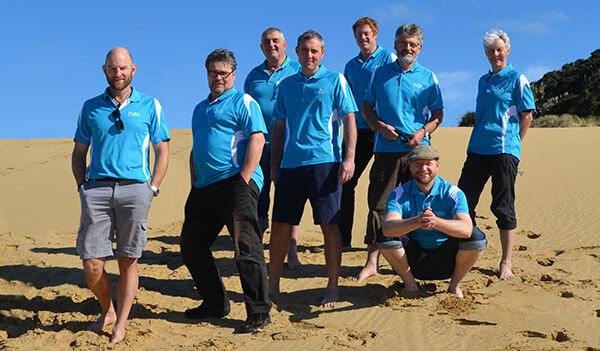 Whether you want to visit the North Island, South Island or both, travelling in an escorted small group makes everything about your holiday so easy. We’ll take care of all the little details, like where you stay and getting from A to B, so all you have to do is sit back and relax. We'll even help you organize any special Kiwi activities on your bucket list. Once your tour starts, just sit back and relax while your ‘Kiwi Guide’ leads you from one awesome spot to the next, it's like travelling with friends on your own private tour. Everyone tells us they love meeting people who’ve come from all over the world for the very same reason – discover the very best of New Zealand! We’ve bottled a lifetime of Kiwi holiday memories into our New Zealand small group tours. All the places you've heard of like Milford Sound, Queenstown and Rotorua, plus a few of our secret off the beaten track spots make for a once in a lifetime experience. Take a look for yourself and don't forget to get your free brochure.